Mackenzie's awesome purple hair creation! My client loves her #purplehair, We always use #joico on her ends because as it fades she gets different looks and can switch it up every time she comes in. Before we achieve the purple colors, we prelighten her to the palest yellow then choose what fun tones we want to do that time. 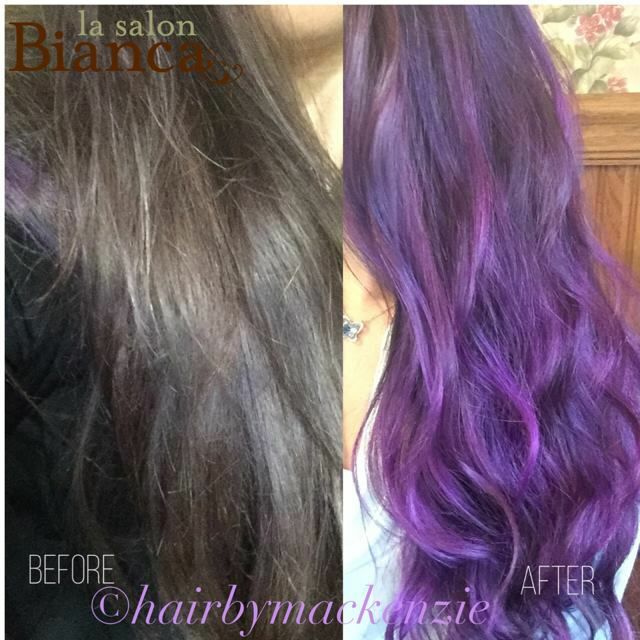 She took home #schwarzkopfusa #colorfreeze shampoo and conditioner to maintain her gorgeous color!